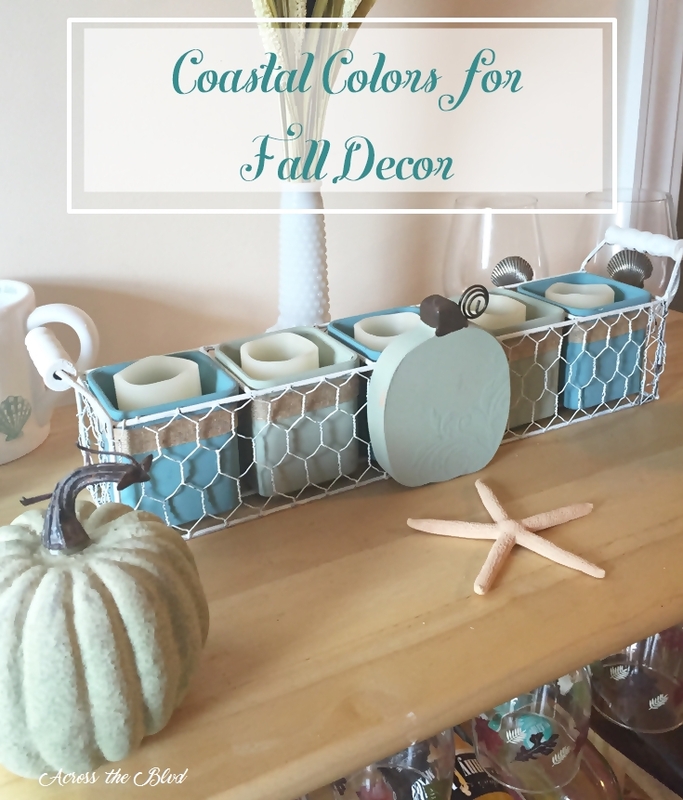 Last fall, I decided to change up my fall decor from the usual orange, brown, and red decor by incorporating coastal colors into my fall decor. I enjoyed the look and this year I’m going to continue adding pieces that fit in with a Coastal Fall Decor theme. I was given a wire basket with candle vases by and friend just before he was about to donate it to Goodwill. I was happy to have it and knew I could give it a makeover to fit my decor. I didn’t have time to get it done last year, but it was one of the first things I pulled out to get ready for fall this year. The basket was in good shape and it would fit in well with farmhouse decor, but not so much with my coastal decor. It has five glass vases for holding candles. They were tinted, green, orange and this yellowish green color. It only took a few minutes to change the look. I used Waverly Chalk paint to change them to green and blue. I used Celery for green and for Agave for blue. I gave them each two coats. That looked much better, but I wanted to add a little more to them. 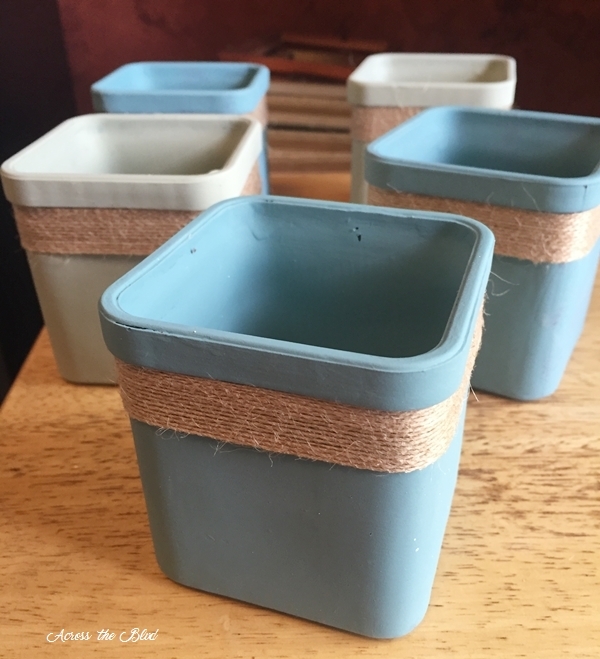 I used 5/8 inch jute/nylon ribbon to wrap around each container. I hot glued the ribbon to the back side. I still wasn’t quite pleased with how it looked along with my other coastal fall decor pieces. I decided that painting the basket was the way to give it a look that would blend in better. I liked this much better. I planned on placing this on top of my wine bar along with some pumpkins. The blue, green and white colors look great there. I used the same green paint that I used for the vases to give a quick coat of paint to an orange wooden pumpkin. It’s not glued on because who knows what I might want to use this basket for in the future. I added a milk glass vase with some stems to sit on the bar behind the basket. I like to have something with some height there to hide a phone cord that falls against the wall. Some LED candles finish off the look. I love the new look of this. It fits in great with my other coastal fall decor now. A little paint goes along way in making anything suit your own style. Last year, I had my Coastal Cornucopia on the wine bar. It’s been relocated to the sun room this year. That is amazing. I’ve never painted glass with chalk paint. I may have to give that a try. Such pretty colors. Thank you, Katie. 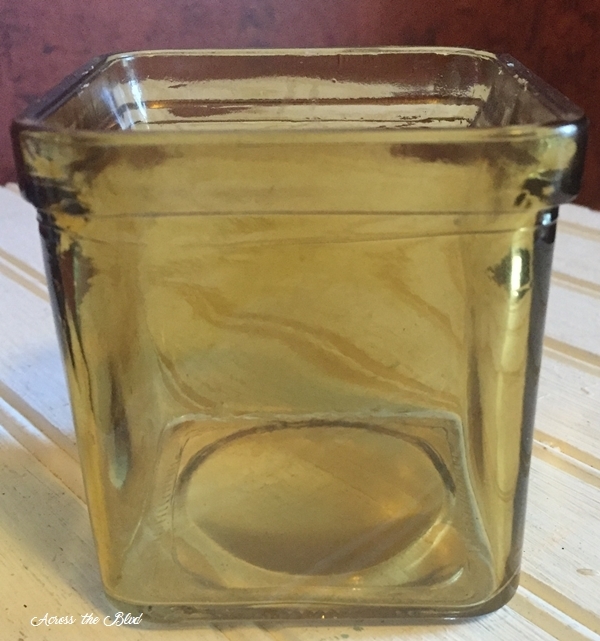 Chalk paint covers glass easily. I tried it out a while ago and was pleased with the results, so I hoped it would work well on these candle holders. Two coats and they were done. Great makeover! I love the coastal look too and the colors are perfect! Thanks, Pamela! These colors just fit in so much better with my other decor than the tradition oranges and deep colors of fall. Beverly, Cute makeover! 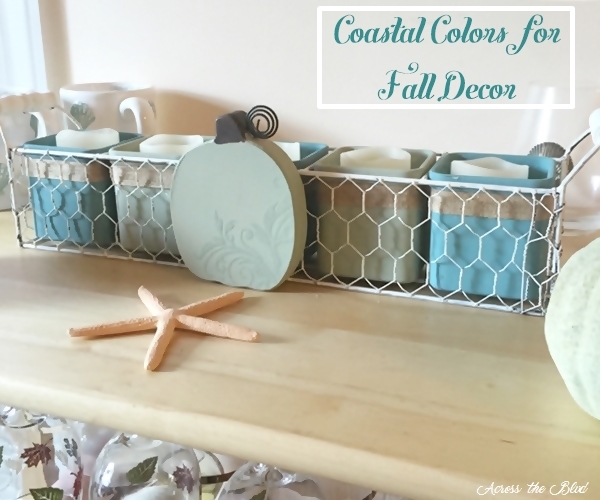 I’m loving your beautiful coastal colors used in your fall decor! The candle holders are cute and the twine was a perfect touch. Painting the basket tied it all together. 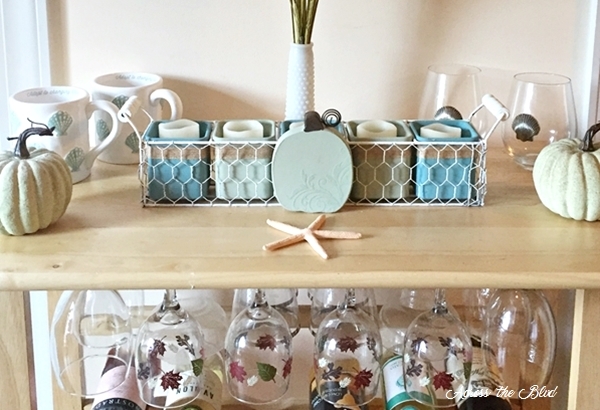 It looks great on your wine bar! Pinning! Thank you, Laurie! I’m enjoying these colors, too. I was happy to have been given something that was heading for Goodwill and to be able to give it a makeover. Thanks for pinning! Beverly, I love those pastels for fall, I actually picked up a pumpkin in a bluish, greyish tone the other day and it looks great! Your little wooden pumpkin is so cute too and I agree that a little paint can work wonders! Thank you, Katrin! I’m enjoying the pastels for fall. I’ve seen lots of more of it this year while out shopping than ever before. It’s amazing what a coat of paint can do, totally transformed! Yes, the wonders of paint are amazing! Thanks for stopping by, Julie. I love the colors you used and how it turned out. Plus by not glueing the pumpkin on the basket you can use it all year round. What a great idea. Thanks, Debra! I’m enjoying these colors for fall. Yes, I can see this basket being used for lots of seasons. Your coastal colors are really just so pretty. I love it. You really gave that set a complete makeover. 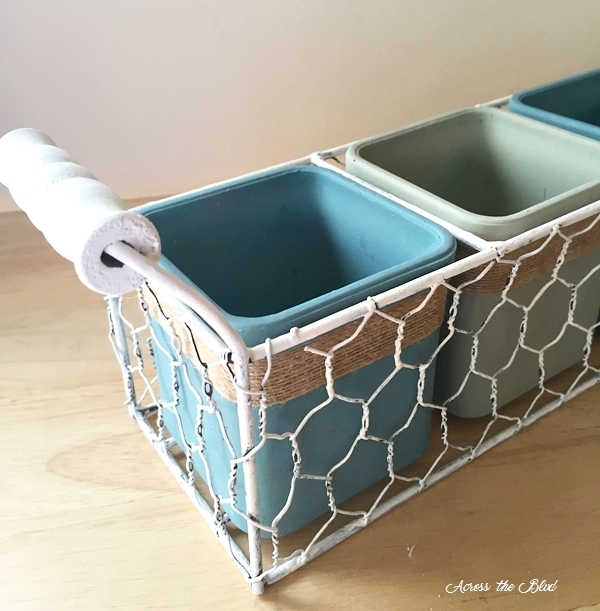 You ‘new’ basket will be fun to use again and again in your coastal decor. Thank you, Shirley! I’m looking forward to using the basket along with lots of seasonal decor. Well, off to the thrift store to find some parts! I love this basket and know right where I’ll put it! Thanks for sharing on the Pleasures of the NW’s DIY party week after week! 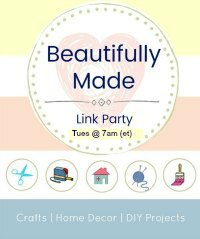 I love your projects – especially the coastal ones!! Thanks so much, Helen. I love a simple, inexpensive makeover! Thanks for hosting the party each week and for your visits. I appreciate it! Nice. 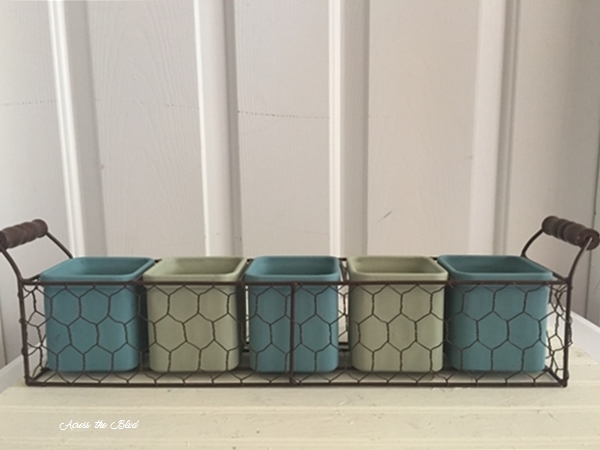 I’ve started a beach theme for my master bath in similar colors. 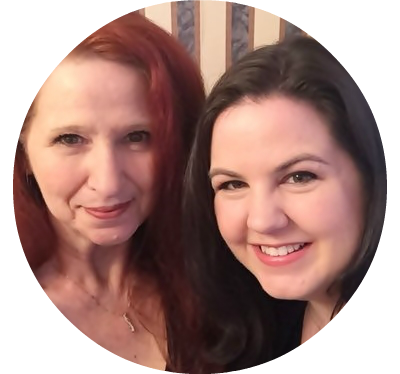 Thanks for sharing on Family Joy Blog Link-up. Please come back and join us again! Remember to leave your host a comment to increase the chance of being featured. Thanks, Charlotte. I love those colors for beach decor. I gave a coastal makeover to a guest bedroom this summer using them. Thanks for the party. Thanks, Debbie! 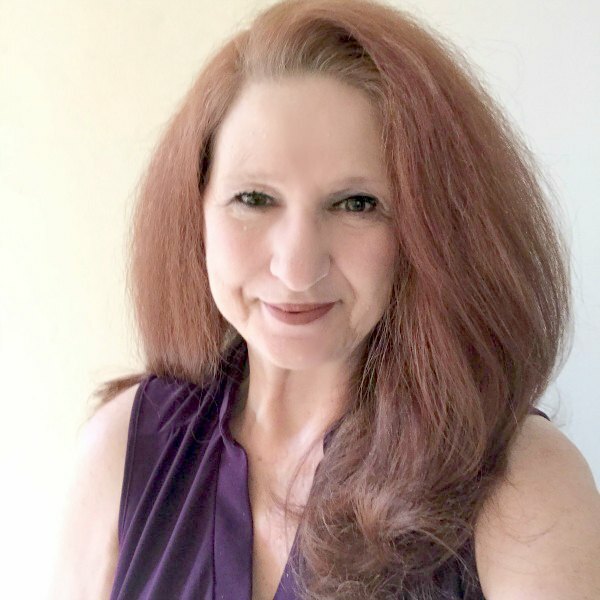 I always enjoy visiting your blog and seeing your amazing decor. Thanks, Shamira! These colors fit it so much better than the traditional deep hues I used to have for my fall decor. Thanks for the party and the pin. I love this twist on fall decor! 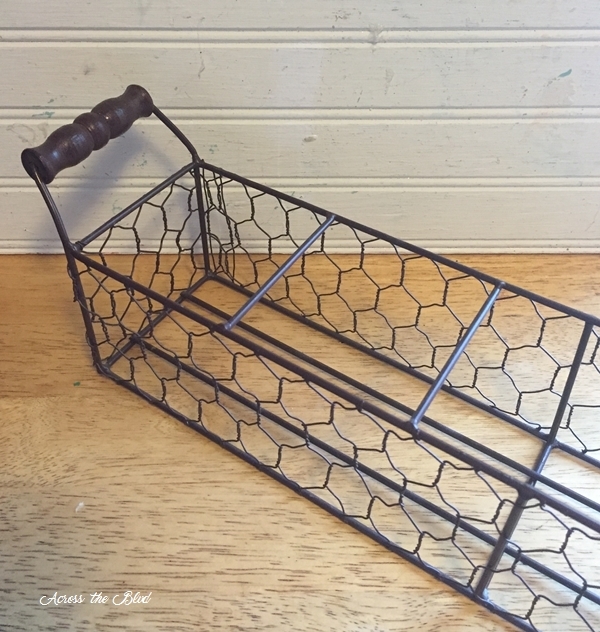 And you just saved an old wire basket of mine from going in the trash… Never thought of giving it a coat of paint for a makeover. Thank you for sharing this! Thank you, Jenny. Glad I could give you an idea! 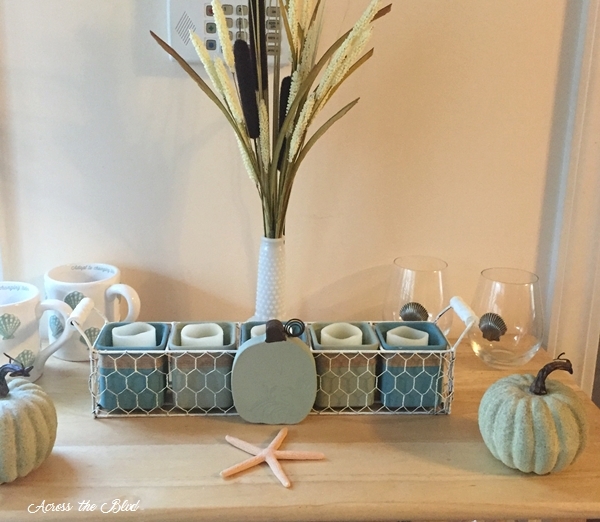 Popping over again from Brag About It to thank you for linking up and sharing your coastal fall decor with us! Thanks for the great party each week, Laurie! Thanks so much, Christine! I love using these lighter colors for much of my fall decor. I appreciate the feature! Thanks for the party each week! I love your creativity making so many different seasonal looks fit with your coastal decor. These colors are lovely! Thank you, Wendy! It’s fun trying to blend the coastal look with each season. Thank you, Jess and thanks for the party each week. Thank you, Melissa! Chalk paint is amazing!